– We had to do everything from scratch – for better or worse. We didn’t have a brand, no resources, no nothing and even though things have moved forward fairly well, it has taken time. We haven’t made losses for future successes; we’ve been careful overall when it comes to finances. We have also been patient, resilient and serious – done things “the right way” – and by doing so I guess we have always been rewarded, by seeing from year to year that it is actually working out for us. That we are on the right path. – There was a manager who had been dismissed from the company, but still had some time left on his period of notice. We put him to work on this start-up project and it was just not for him. He was a good person and a senior manager but he didn’t know the ways around this particular business. Without thinking about it at the time, I witnessed a really poor example of an interim solution. But afterwards I started to think – what if there was a company that could offer this type of role? In those days, there wasn’t one. 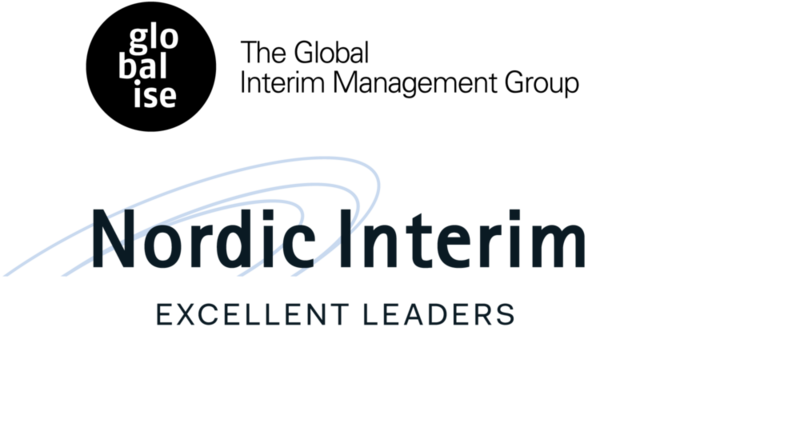 One of the main objectives has always been to become the Nordic leader in interim management, hence the name – a Nordic ambition. That goal has now to a great extent been reached, which is why the ambition is now growing. Nordic interim these days, is acting on a global playing field, which is something Janeric didn’t even dream, back in the day. – The goal, apart from becoming the Nordic leader, has always been to be recognized as a serious executive interim service provider. You can’t build that trust overnight – it’s something you need to prove. We want to offer the most qualified services and take on greater commitments to reach our customers goals and effectively solve their problems. After more than ten years in the business, Janeric is experiencing a rise in the interim management business – and for Nordic Interim. More and more customers discover that Executive Interim Management is a great solution to extraordinary challenges in organizations – larger change management projects, post-merger integrations, turnaround of a sales company or a factory, moving or closing a factory, or simply bridge a very importance role in the company until a permanent person is in place. – These days you need to respond to different opportunities or threats on a completely different level than before. Companies need to become more agile and more capable of action, which is something they can achieve through interim solutions. It’s no longer possible to wait for nine to twelve months to find a suitable permanent candidate. Customer also starts questioning the price/value of management consulting and are looking for a better way to run implementation programs and create an impact. So, one of the contributing factors is that customer needs are changing. But the reason why Nordic Interim is taking the lead in the growing executive interim management business, of course, also depends on the company as such. – Our network of independent professionals includes the most qualified people. We have become known as a company where people, who don’t leave their CV with just anyone, go to. They know that they will get interesting assignments here. Through long-lasting relationships we’ve established a solid ground and a strong brand. Peterson underlines that the business is based on trust, which is why the customer relations have been of utmost importance to their success. – The fact that we, the management, here at Nordic Interim – with the experience and background that we have – are the ones who deal with most of the customer interaction, is what truly creates a peer-to-peer relationship with our customers. They feel that we could just as well be their colleagues or, in some cases, even their managers. This makes for a really strong confidence in us and there really aren’t any equivalents in the business.